As China continues with its financial reforms and opening up, we believe that this represents an opportunity for foreign investors in the future. In this report, we seek to detail the current stock market in China and the challenges and opportunities it presents to investors. 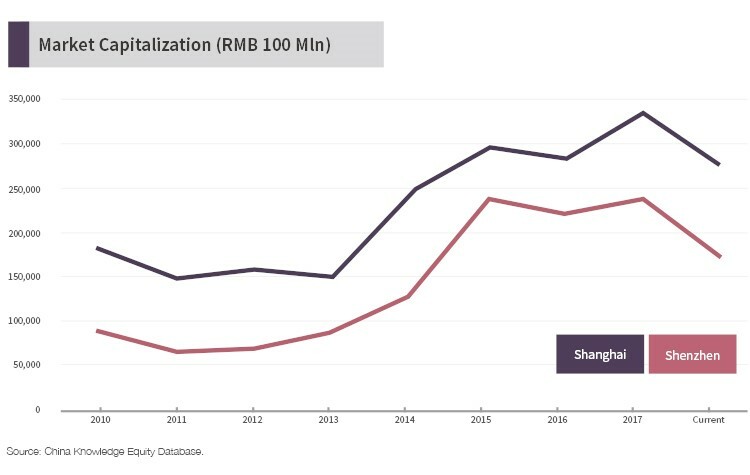 The Shanghai and Shenzhen stock exchanges have seen rapid growth over the past decade in terms of market capitalization, with the Shanghai stock exchange more than doubling during its peak in 2017 and the Shenzhen stock exchange growing by nearly 4 times from 2015 to 2017. 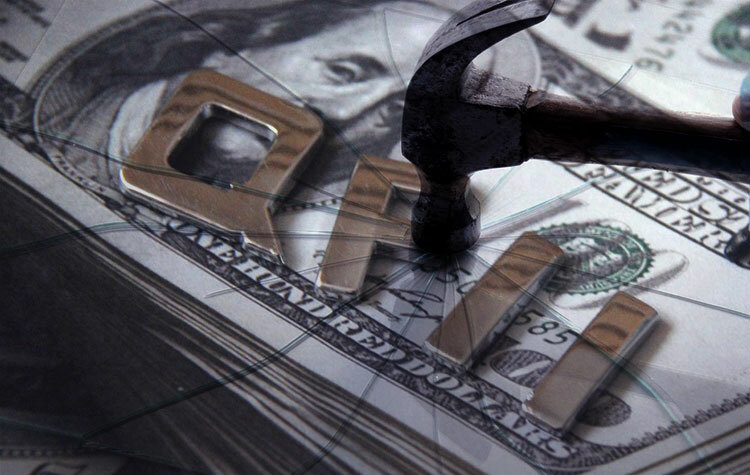 While Chinese stock market has fallen significantly over the past year due to headwinds from the Sino-US trade war and macroeconomic slowdown in the country, the market still has strong avenues for growth given China’s financial reforms and the possible influx of foreign funds. 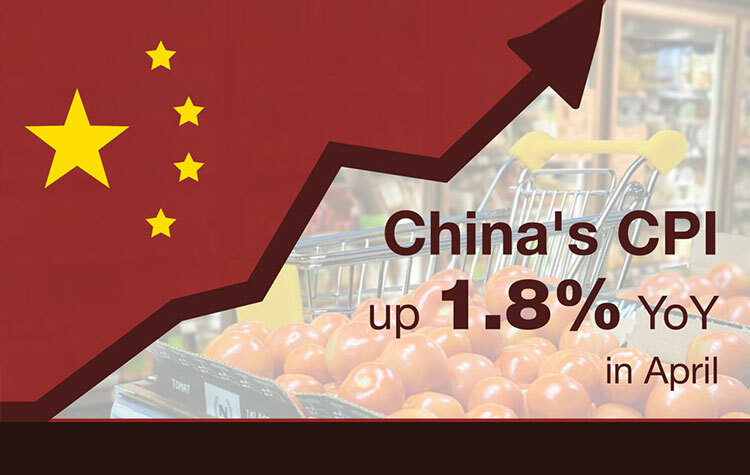 In addition, China’s economy is still growing at a GDP of more than 6% this year which far outpaces that of the United States. The Chinese stock market is also highly liquid. 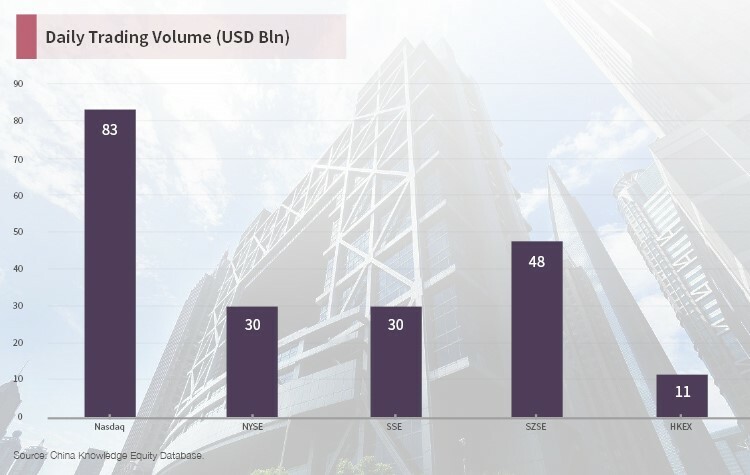 The Shanghai and Shenzhen stock exchanges saw USD 30 billion and USD 48 billion in daily turnovers last year (2017). 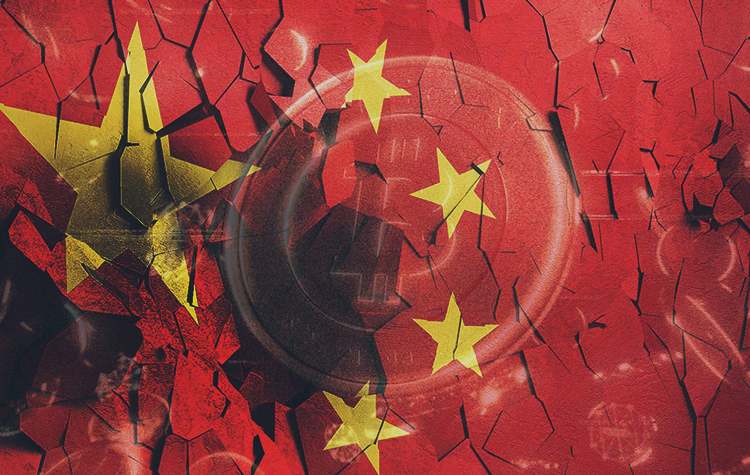 When compared to the size of the exchanges’ market value, this makes the Chinese stock markets one of the most liquid in the world, which is a selling point for the Chinese stock market. The NYSE and Nasdaq have a combined market value of more than USD 30 trillion in 2017 while the Shanghai and Shenzhen stock exchanges have a combined market value of USD 8 trillion in 2017. The Chinese stock market is dominated by retail traders that hold 75% of the stock market. According to a survey by the Southwestern University of Finance and Economics in 2014, 67.6% of new investor households in China had less than a high school degree, which results in most trading being conducted based on speculation rather than informed valuations or decisions. The leads to increased volatility in the Chinese stock markets and instances of “herd mentality” where selling (or buying) leads to even more selling and buying. This was seen in 2015 during the “Black Monday” events. Due to China’s domestic stock market being inaccessible to foreign investors historically, there is a divergence between the valuation of the country’s A-shares and H-shares. 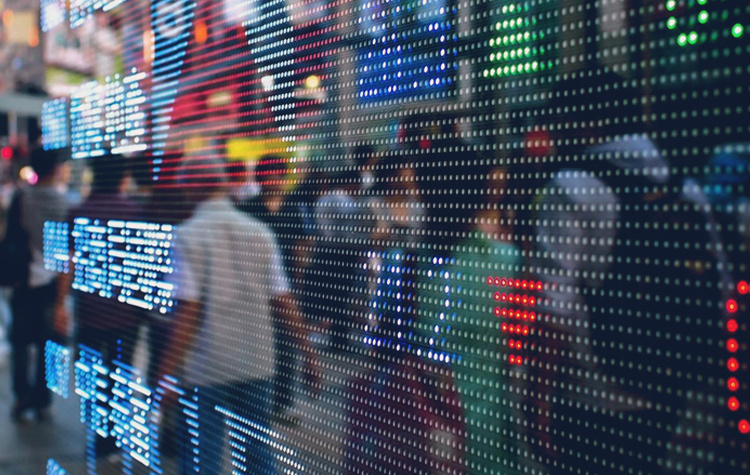 A-shares refer to shares of companies listed on the Shanghai and Shenzhen stock exchanges and were previously only available for trading by mainland Chinese citizens. H-shares on the other hand are listed on the Hong Kong stock exchange and available for trading to all investors. It is not uncommon for a large Chinese company to have both A-shares and H-shares. However, A-shares generally trade at a premium compared to H-shares. 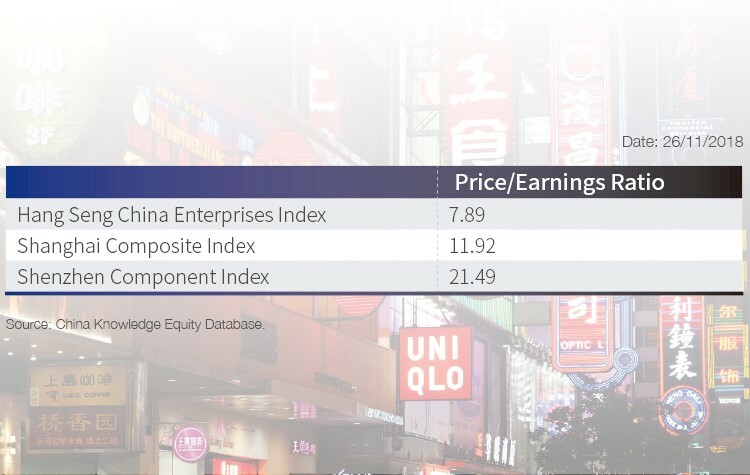 The Hang Seng China Enterprises Index (HSCEI) which is an index for H-shares on the Hong Kong stock exchange has a P/E ratio of 7.89 while the Shanghai Composite Index and Shenzhen Component Index which list A-shares have a P/E ratio of 11.92 and 21.49 respectively, a premium of 51% and 172%. 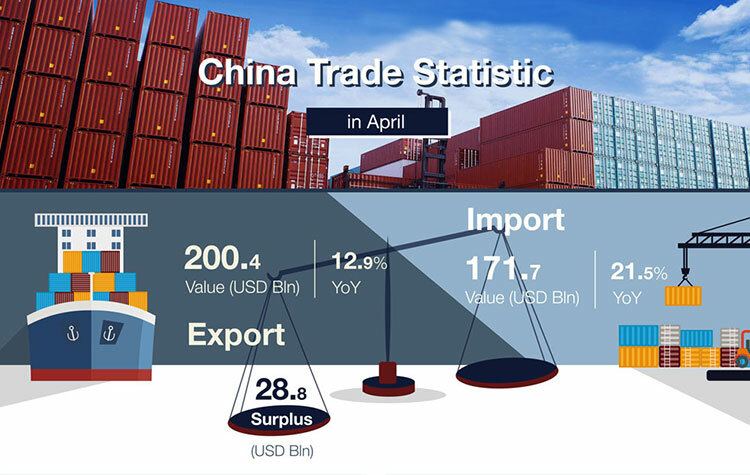 With the relaxation and opening up of China’s capital markets as well as increased foreign investment, we may see these valuations converge in the future. Investing in the Chinese stock market provides an avenue for diversification for investors due to its low correlation with other markets. 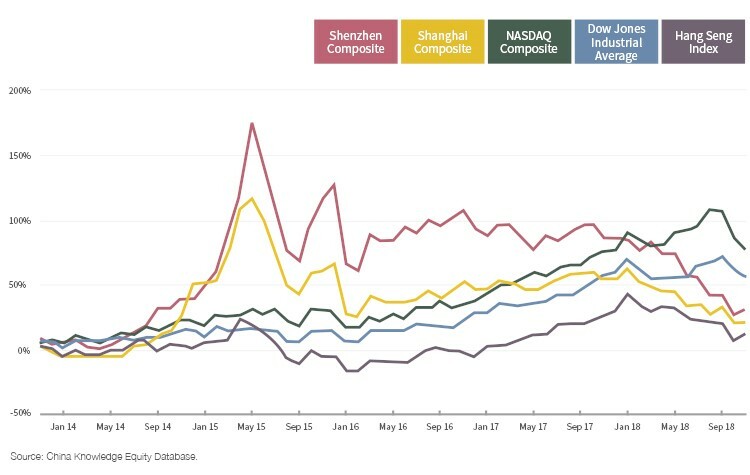 As seen from the graph above, the performance of the Shanghai and Shenzhen indexes do not correlate with that of the Nasdaq Composite and Dow Jones Industrial Average in the US or that of the Hang Seng Index in Hong Kong. In the past, the Chinese stock market has been somewhat of a black box for investors due to limited data coverage in the region. However, with the opening up of the Chinese stock market, more companies are increasing their focus on Chinese equities and are providing greater coverage. Some of these companies include BNP Paribas Asset Management and Aberdeen Standard. On going reforms and of the country’s capital markets such as stock connect schemes with multiple international exchanges and the inclusion of China into international equity indexes will help to yield better data for investors in the future. With more data, this will help to support deeper analysis of cross-sectional and market-level asset pricing in the country which can help investors with their stock picking to find certain undervalued gems. China’s 8 trillion stock markets are something that the outside world has little to no contact with. Being one of the first-movers into this market may yield investors with multitudes of opportunities that they may capitalize on. As always, it is important for us to do our research and understand the market we are investing in.